Hello from Create.365 ~ Kathy here...today's card is my first post for the month of June with ScraPerfect and I have an easy layered anniversary card to share with you. 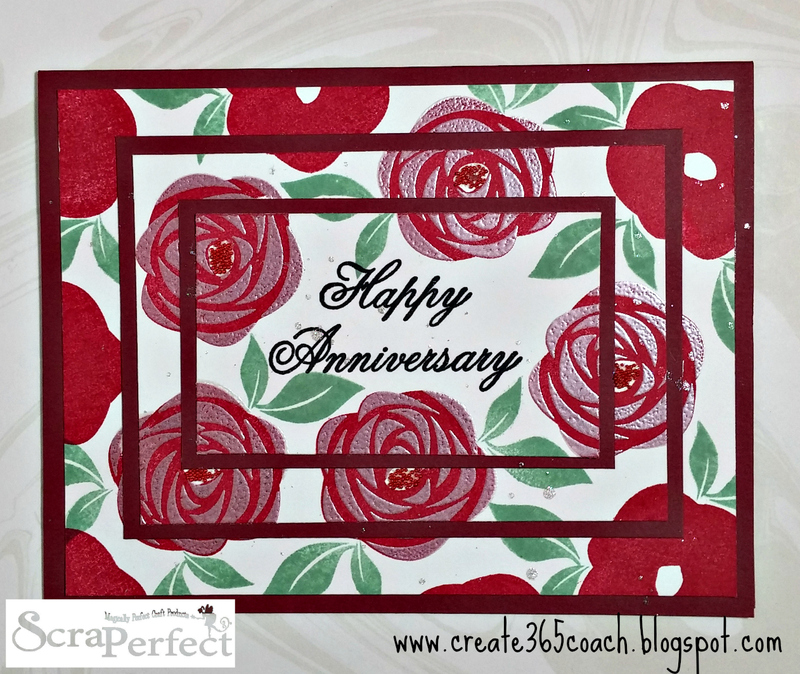 This uses a technique that I always admire, but often forget to utilize. So just in case it is a new one to you, I will walk you through it and then you can give it a try too! Before moving on to the next step. 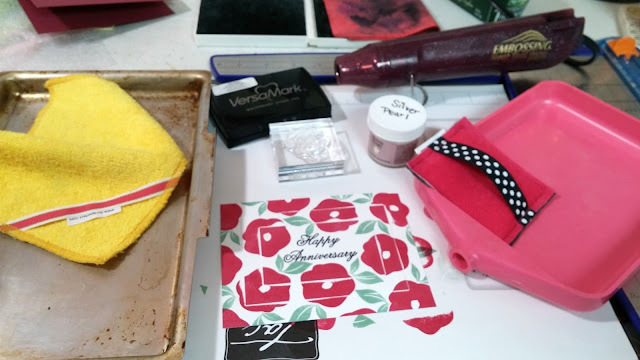 I tapped the newly stamped layers with the Perfect Crafting Pouch to quickly dry the inks so that the embossing powder in my next step would only stick to the Versamark ink. Using the 2nd step rose detail stamp, clear embossing ink and Silver Pearl embossing powder I added a second stamped and embossed layer to the 5 roses in the center of the card only. Once melted using the heat tool and cooled off, I wiped the Perfect Cleaning Cloth over it to remove any stray pieces of powder that may have been left behind. 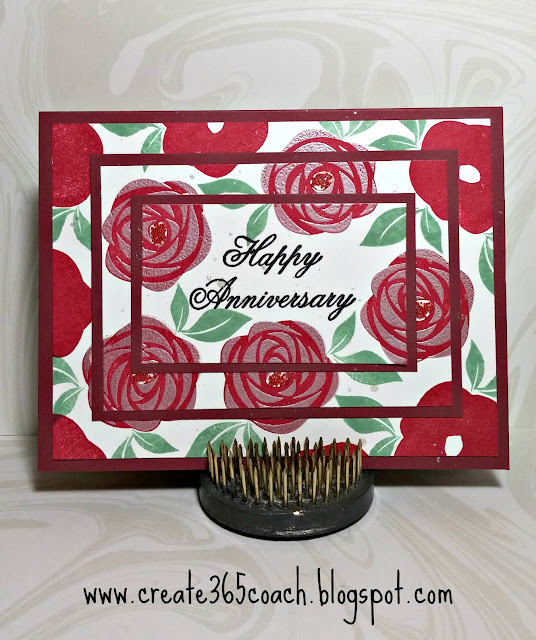 The next step was to carefully remove the temp adhesive to separate the stamped layers and trim a red layer to back each one of them with a narrow border using my paper trimmer and the Best Glue Ever to hold each layer together as I built up the card front. 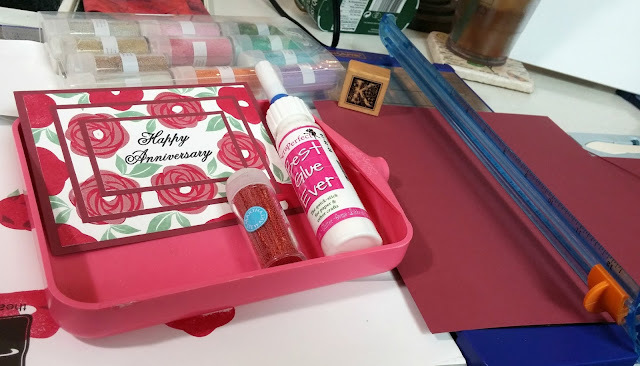 The Best Glue Ever also worked perfectly to adhere the red micro beads to the center of several of the flowers for added interest and dimension. The No Clog Writing Cap ensured that I had utmost control of where I wanted to apply the glue too. 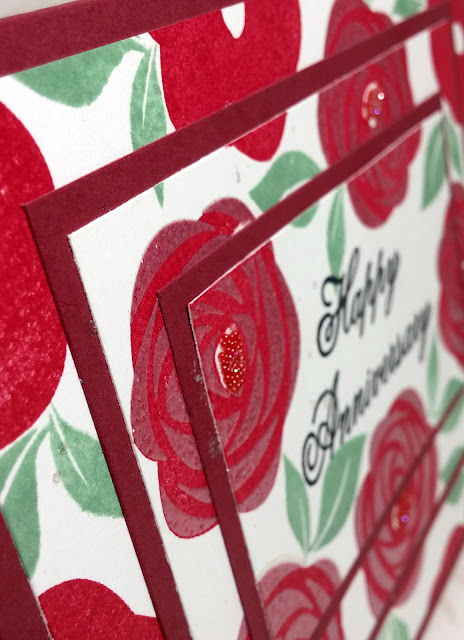 While it's very hard to see in the photo, there is an added element of clear sparkle sprinkled over the card front because I splattered FSJ Sparkle Silk across it. It is subtle, but gorgeous in person! 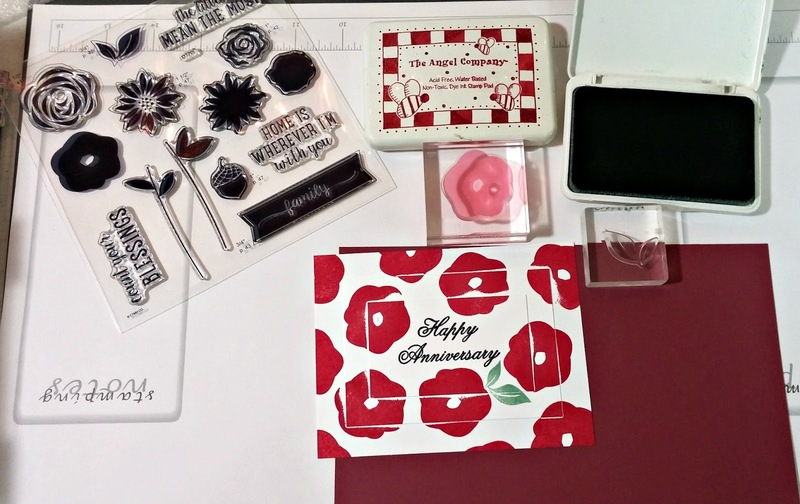 The inside was kept super simple with just a retired TAC sentiment stamped in black ink. 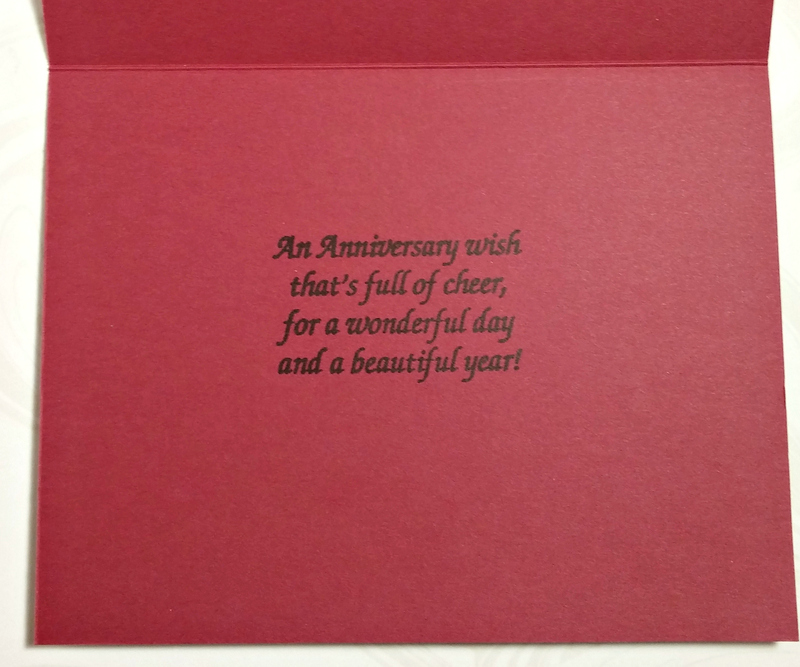 This card is now ready to be mailed out later this month to my brother-in-law and his wife.